Math tutoring programs--such as those offered by Kumon, Sylvan, and other tutoring centers, can be an excellent way to help your child catch up or keep up in math. I've compiled some information about these programs and some questions for you to ask before your child gets started. Because math is a cumulative subject (for example, everything will be hard if you don't master the multiplication tables), the first component of a good program includes diagnostic "testing." That doesn't have to mean a miserable two hours of test-taking, but it might. A highly skilled tutor who understands both math and teaching will be able to figure out what your child knows and what he or she may have missed during their first few sessions together. However, most programs have a standard test that they use to find out what your child didn't learn so they can fill in the gaps. As the field of math education continues to develop, some best practices in math education have emerged. 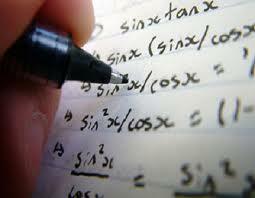 Look for programs that offer hands-on math experience and that approach the subject from a variety of angles. You want to find a program or tutor who can show your child how to apply math in interesting ways and, ideally, who can connect the subject to existing interests (math is part of baseball, cooking, drawing, and lots more, but most people never think about the connections). Children have many learning styles. Some process information by listening, others by seeing, and many by doing (this is hands-on, or kinesthetic, learning). A truly great tutor will suss out your child's learning strengths and use them to help him develop strong skills in math. 1. How does your diagnostic testing process work? 2. What do you do to ensure the program suits children's specific learning styles? 3. How do you keep math interesting and relevant for kids? 4. How does your program measure and celebrate success? This is just a starting point. I've compiled lots of information on this site, so click around until you feel ready to get your child the help he or she needs. The scoop on working with online tutors. My page on getting the most from tutoring centers. 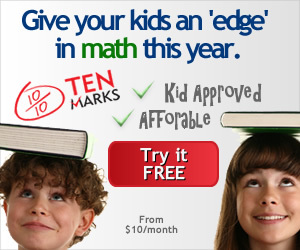 Find verified math tutors near you. Email the tutors that interest you, and they'll respond right away. It's easy! A trip to the moon helps twins Tad and Lily learn all about math, including: Counting, sorting, patterns, games, four sing-alongs, and more! Perfect for ages 3-6.